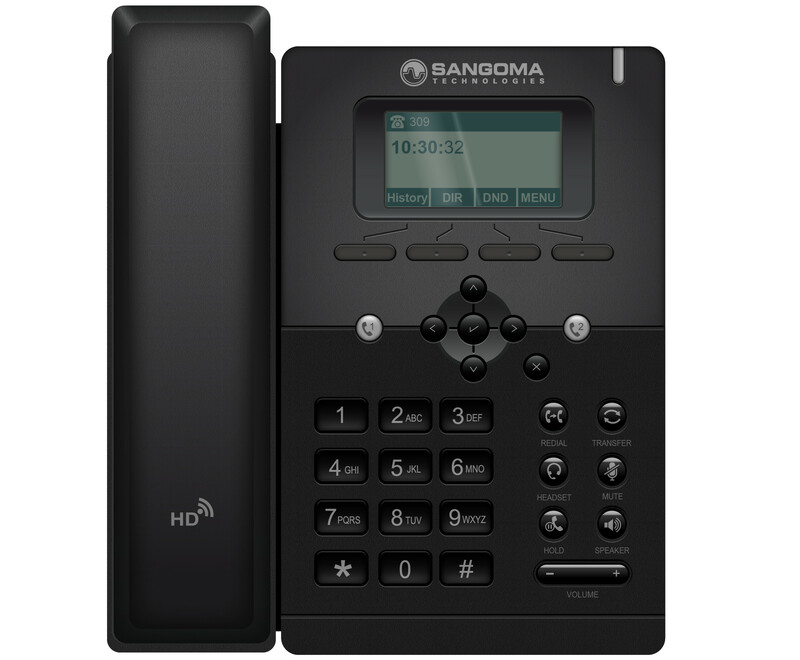 The Sangoma s300 is designed to work with FreePBX, this fully featured phone has 2 SIP accounts, dual Ethernet Ports, HD Voice and built in VPN capability. 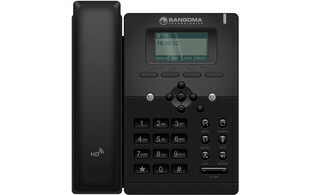 The s300 makes up part of Sangoma's range of VoIP phone and comes at a competitive entry-level price point. 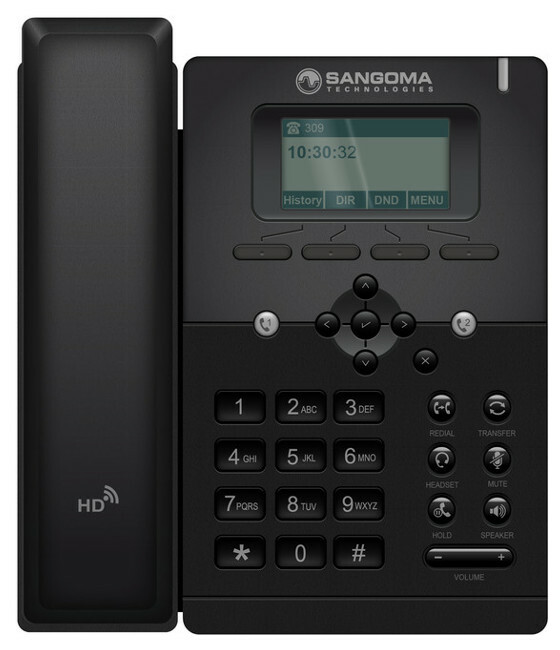 When you connect your Sangoma s300 phone, the redirection server automatically points the phone to the Sangoma FreePBX and PBXact UC system for configuration. Phone settings can be easily controlled using Sangoma EndPoint manager software, which is automatically enabled when using with any of Sangoma's VoIP phones.